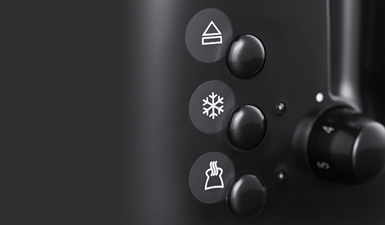 One setting doesn’t suit all, that’s why the Colours Plus Black 2 Slice Toaster has variable browning control which lets you make your toast just the way you - or your family - like it. It also has wider slots to accommodate thicker slices - ideal for toasting crumpets, tea cakes & even fit larger bread slices. The Colours Plus Two Slice Toaster also features a Frozen Bread function that allows you to toast bread straight from the freezer - a great time saver if you’re rushing around in the morning. 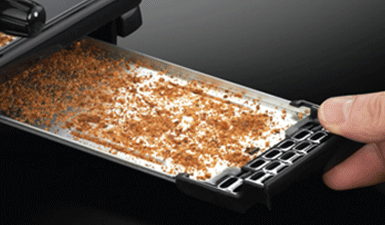 And its handy built-in crumb tray can easily slide in and out and keeps your work surfaces mess free and stops bits getting everywhere.